Since the early 2000’s, Lenox Homes have been a sought after builder. The organization’s President, David Cates has been a leader in the community and gives back to the community they build for. If you’re looking for a Lenox Homes for sale, you can be assured the home you purchase will be built with quality and builder integrity. Along with building a pristine product, Mr. Cates and his team also were awarded the honor of building the St Jude Dream Homes from 2006 to 2013. Lenox Homes build beautiful, quality homes for sale! Despite extreme competition, Lenox Homes with their proven dedication to building a quality home was awarded “Builder of the Year” in 2006. This award was given to David Cates by the Building Industry Association of Kern County not only because of his quality home building but also the involvement he has in the community. Lenox Homes is no stranger to giving back to the community; they’ve donated both time, resources and money to many non-profit organizations. Some organizations the builder contributes to are the Habitat for Humanity, Alpha Canine Sanctuary, Aids Research, Boys and Girls Club, Alliance against Family Violence, Phoenix House, KEOCK institute for infant feeding disorders, SPCA, the Homeless Center, and St. Jude Children’s Research Hospital. Home-buyers appreciate that the face building their home is the same face they see as a neighbor in the community. Lenox Homes has a commitment to their customers that goes beyond the sale, as previously mentioned the faces that build your home might just be the face of your immediate neighbor when you buy a Lenox Homes for sale. It’s a commitment of this size that provides first time buyers, buyers moving up or downsizing buyers the peace of mind they need to know that the builder is going to be there when they call. If you’re interested in learning more about Lenox Homes or would like a tour of the available properties, please feel free to contact us anytime. 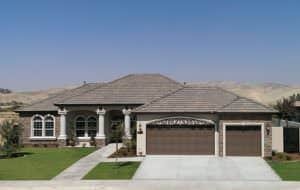 If you’re looking for more information on other new construction builders, check out this article on Bakersfield New Construction Homes!